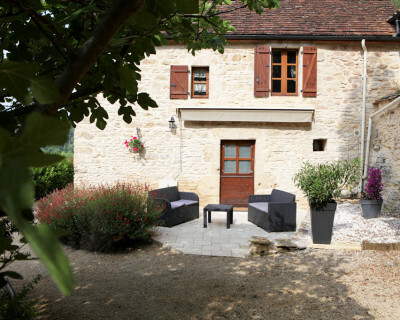 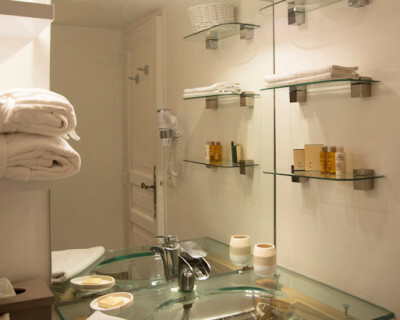 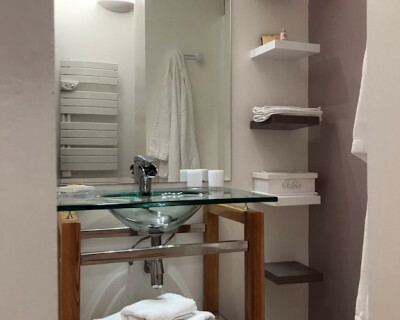 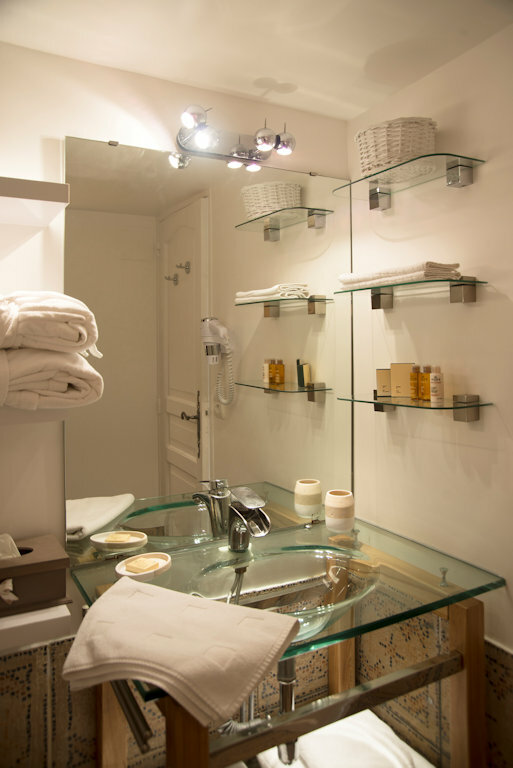 Our guest house is located in La Roque-Gageac, a few minutes from Sarlat and the main sites of Périgord. 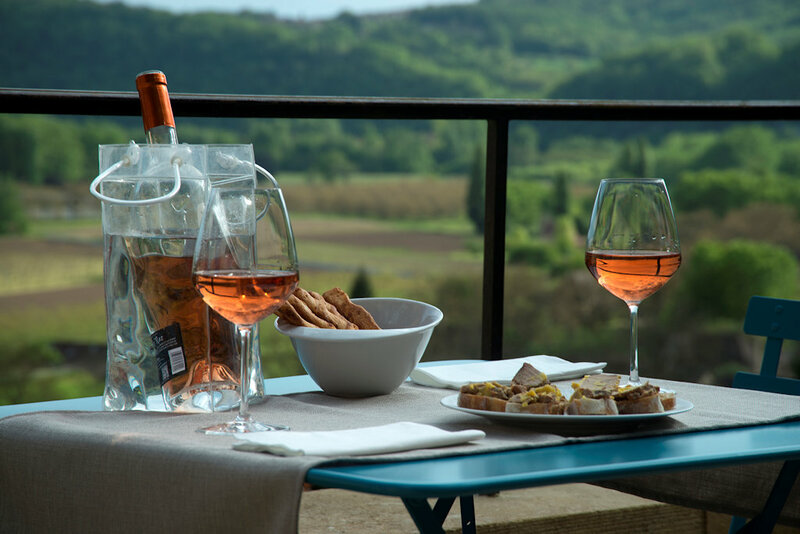 With its garden and heated swimming pool overlooking the Dordogne valley, it is the guarantee of a successful Dordogne holiday. 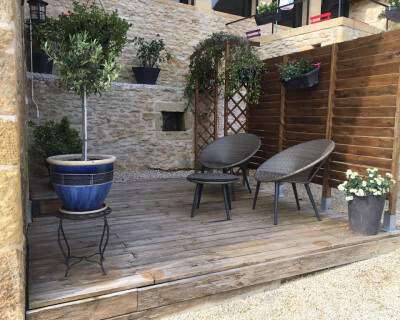 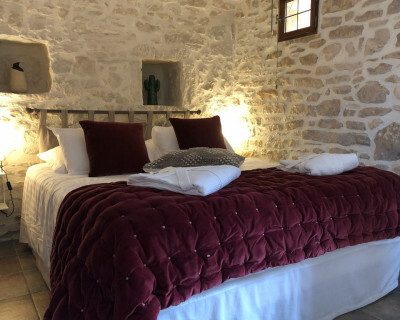 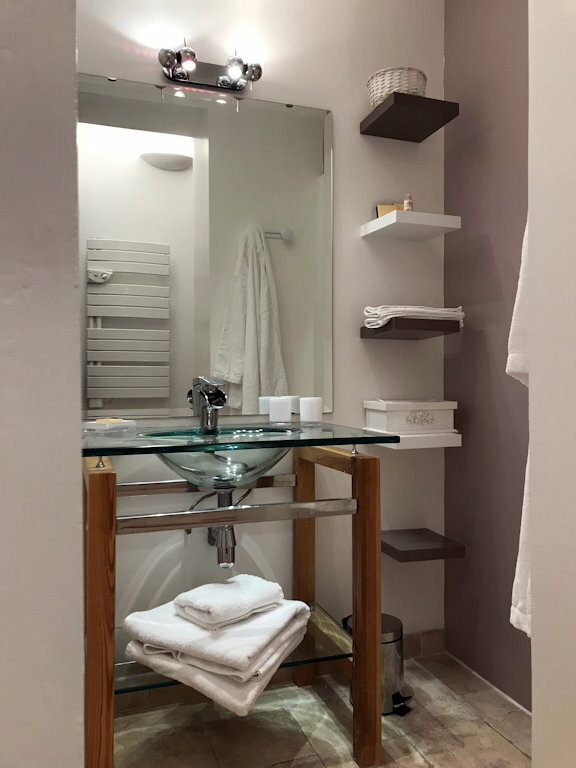 On the heights of La Roque-Gageac, at the edge of the Dordogne and close to the famous castles of the Périgord Noir, Les Hauts de Gageac welcome you for a stay out of time. 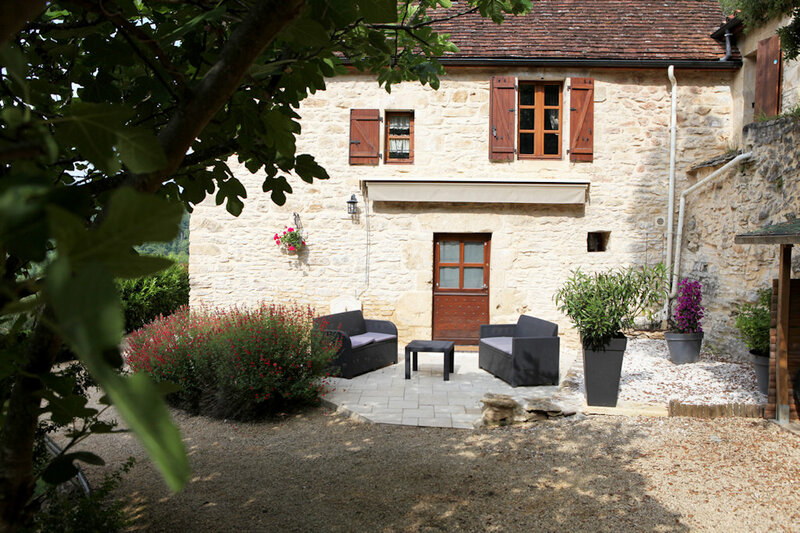 This typical Périgord house will seduce you with its authenticity and the quiet tranquility offered by its garden and swimming pool with breathtaking views of the Dordogne valley. And after a good day of walks, nothing better than to enjoy the garden, the heated pool or a good massage to enjoy a moment of relaxation just for you. 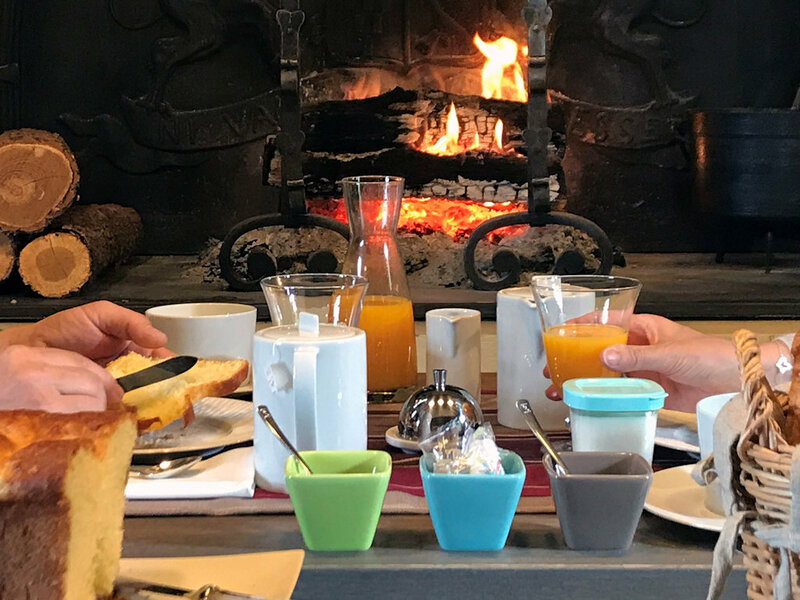 Bouilloire avec sélection de thés Damman Frères ®, Machine et café Nespresso ®, produits d'accueil Nuxe ®. Chambre atypique du fait de la hauteur de son plafond à 1,90 mètres.